Where Are Indians Investing Today? Traditionally, there has been a high affinity for physical assets such as precious metals, jewellery and real estate among Indians. This trend has been changing quite rapidly over the last decade. The reasons are varied. One important factor playing a role here has been the increased penetration of financial instruments tapping populations living even in remote villages. The result has been that the 'only store of value' feature offered by physical assets is fast disappearing. Also, technology is enabling banking solutions to reach remote villages much faster, while also making financial transactions easier and less expensive. With focus on direct subsidy transfers, opening of bank accounts is becoming mandatory for all, including those who were out of the banking circle so far. With these developments, the only reason left for an individual to invest in physical assets is for returns. Real estate is a good investment option, but not by taking leverage because returns will remain lower when compared to cost of funding. 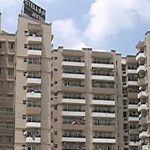 However, residential real estate can be rented out, which helps offset the monthly outgo of EMIs to some extent. 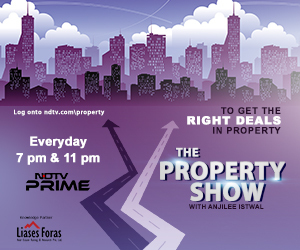 And, of course, there is no denying the feeling of security and pride that every Indian derives from owning property. Investing successfully in commodities or physical assets requires a higher degree of research, given their heavy dependence on fund flows. Not many, in their individual capacity, would want to or even can indulge in research-oriented investments on their own. One saving factor in this scenario will be REITs (Real Estate Investment Trusts) which will play a crucial role in bringing such individual investors into the real estate investment fold. A REIT provides the option to take part in real estate as an investment class without having to invest either a lot of money or a lot of research. For investors those who are interested in regular income along with the possibility of capital value appreciation, participating in REITs will be the ideal option. Overall, real estate is still very much a preferred investment route for Indians from the standpoints of social status and financial stability. However, in a country where the population is rising at a rapid pace, land and house prices have increased exponentially, most so in the primary cities. The unaffordability of real estate in many these cities has not only affected the middle class but even the upper middle class. While there is more than sufficient end-user interest for residential properties in India, what potential buyers are waiting for is reasonable and affordable prices. In the last two years or so, almost all housing markets in India have been reeling because of weak demand. Over this period, the highest end-user interest has been seen for projects from developers of good reputation and credibility, with reasonably good amenities for the price offered. Buyers have become significantly more educated about what works and what doesn't in Indian real estate, and have been shying away from developers who do not appear to have the will or wherewithal to complete their projects in the promised timelines. The media have played a big role in bringing instances of developers misleading their customers to public attention. On the positive front, many new opportunities are opening up in Indian real estate because of initiatives such as smart cities, tourist circuits and infrastructure developments. 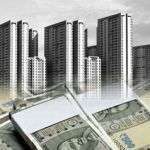 Transparency in the sector is receiving several new boosts thanks to the Government's recent demonetization effort and its determined push towards deploying the much-awaited Real Estate Regulatory Bill (RERA) across the country by next year. Simultaneously, Indian property investors in the upper-income brackets are also increasingly attracted to real estate options abroad. 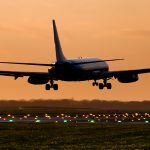 The preferred locations include cities such as New York, London and Singapore, and also Dubai because of the relatively cheaper options available there. According to the leading UAE property portal Bayut.com, Indians looking for Dubai properties accounted for 66.86% of total search hits on the website in 2015. The rationale driving such interest is not hard to identify – $1 million will buy an investor a mere 96 square meters of land in Mumbai, while the same amount fetches a 145 square meters of property in Dubai. So where does this leave Indian real estate as an investment class? Currently, the sector is moving out of the veritable limbo it has been in for the last 2-3 years, and back onto investors' radar screens. Real estate is by no means the most preferred investment asset class as yet. Though commercial real estate is once again hitting the high notes in India, this is an asset class which is firmly out of reach of any but HNI and institutional investors. However, given the rapid-fire developments in terms of price corrections, increasing transparency and the possibility of Indian REITs seeing the light of day soon, we are likely to see Indian residential property move back into the preferred investment category in less five years.